The Council of Europe on Tuesday granted partner for democracy status to Morocco — the first parliament to receive the recognition that it hopes to extend to others in the region. The resolution adopted Tuesday by the Council’s parliamentary assembly calls for Morocco to promote the equal participation of men and women in public and political life, religious freedom, and democratic government at the local and regional levels. Rabat is also asked to reject the death penalty, fight corruption and guarantee independent and impartial judges. Abdelwahed Radi, speaker of Morocco’s lower house of parliament, welcomed the decision, seeing it as part of the country’s political and constitutional changes intended to bring “unity in diversity, proper economic governance, moral public policy and equal opportunities in all fields”. Radi added that while he appreciated the sign of confidence in Morocco the north African country was not seeking a certificate of good conduct. “I can assure you that human rights are respected in the same manner throughout all our territory,” he said. He also noted that “the new constitution solemnly proclaims the right to life”, referring to Morocco’s current moratorium on the death penalty. Moroccans are set to vote in a July 1 referendum on the constitutional amendments announced Friday by King Mohammed VI, following a wave of pro-democracy protests in recent months in Morocco. The Council’s rapporteur on the partner for democracy project, Luca Volonte of Italy, said he hoped that Tunisia and Egypt, two Arab countries where pro-democracy movements have led to the overthrow of long-entrenched autocratic regimes, would soon join as partners. The Council introduced the new partner status in 2010 to strengthen institutional cooperation with parliaments of non-member states in neighbouring regions that wished to participate in debates on common challenges which transcend European boundaries. 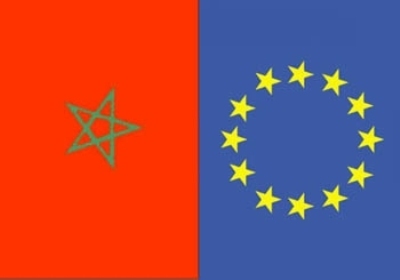 The Moroccan delegation will not have the right to vote in the Council’s parliamentary assembly which is comprised of representatives from 47 European member states.